DINARA is studying the emergence of fish killed in Ramirez and Malvin beaches. As it transpired it was Tarpon, species very common fresh water in rivers of the Uruguay. 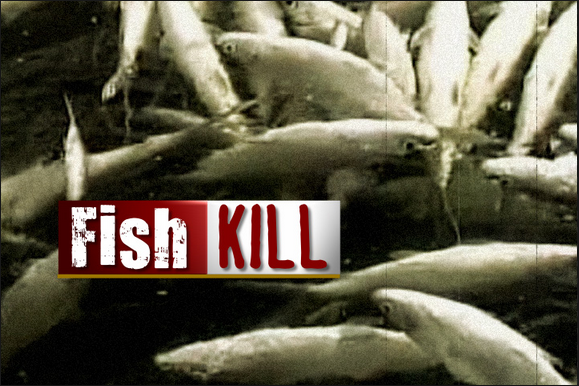 The Agency offers on its website of a link which is expressed that: “in an episode that has led to visible fish mortality, prompted by phone contact the headquarters of DINARA at the 2 4004689”. In December 2015, there was a great slaughter of fish that appeared off the coast of Montevideo and Canelones. In that instance it was the known species such as Menhaden, a marine fish used for bait for its low commercial value. Furthermore, the Intendencia de Montevideo returned to recommend to the population that attends the beaches “pay special attention to the flag by the lifeguard”. In case of not being suitable for bathrooms, health, red flag with Green Cross in the Center will be displayed. Due to the presence of “cyanobacteria and water hyacinths”, the ability of coastal waters for bathrooms “is changing frequently both on the beaches of this area as the West”. In the last hours it was noted presence of green spots on the beaches Malvin, Pocitos, and Ramirez. The increase in temperature and fresh water favors the proliferation of cyanobacteria. The blooms of algae, also known as “blooms”, are events of multiplication and accumulation of microalgae that live free in aquatic systems, or phytoplankton. Factors that favor the development of blooms of cyanobacteria are also “eutrophication” of aquatic systems due to increased levels of nutrients, mainly nitrogen and phosphorus. This occurs by contributions from domestic and industrial waste water untreated, with high content of nitrogen and phosphorus, poured directly or indirectly to aquatic systems. But also by diffuse inputs of water from the washing of floors of fertilized and cultivated areas with both chemical components, deforested soil or fields with livestock (either extensive or tambos) according to studies of the section of Limnology of the Institute of biology, Faculty of Sciences of the University of the Republic.